A reception for The Five Sisters art exhibit, “It’s All Relative! Five Sisters Celebrate the Creative Life”, will be held Saturday, August 3, 2013 from l:00 p.m. until 4:00p.m. at the historic Woodstock Opera House located at 121 W. Van Buren St., Woodstock, IL. , and will run through the month of August. The public is invited to meet each of the five Hund sisters and share the wonderful legacy of art in a family rooted in creativity. The show will include portraits, landscapes, still lifes , abstracts, drawings and collages in various media by sisters who began painting and drawing together around the dining room table in their north-side Chicago home under their mother’s encouragement. As adults, they have continued their art circle while their children played underfoot. Self-taught in the beginning, the sisters went on to pursue their art interests by attending workshops, lectures and demonstrations and studying under a number of renowned artists. 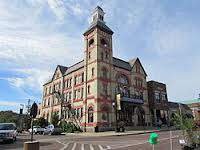 The Opera House was built in 1889 and is situated on the historic square in downtown Woodstock, just west of Chicago. The Woodstock Opera House is one of the oldest continuously operating theatres in the country and hosts a variety of programming and events each year including concerts, theatrical plays, dance, visual arts, educational programming, lectures and art ehibitions, providing artists with a venue to express their talents through their work.